Grate the yellow skin of the lemon and conserve it into a box. Squeeze into a bowl the juice of the lemon. Add 3 cups of cold water into the same bowl. Now, discard the most leathery artichokes leaves, and peel the stems. 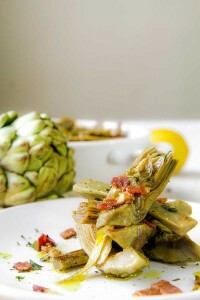 Slice the artichokes into halves. 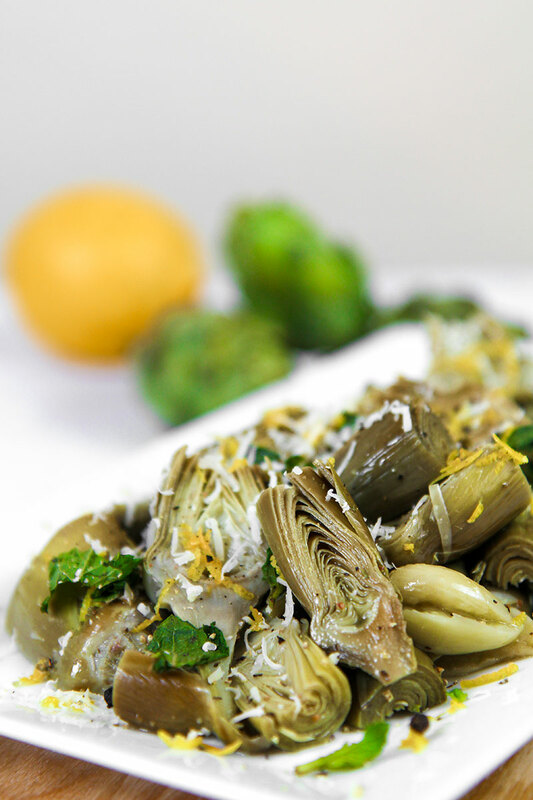 Pour the artichokes into the bowl with water and lemon juice. Pour 3 tbsp of olive oil in a pan and place over medium heat. Stir fry peeled and crushed cloves of garlic until golden brown. Now, add artichokes and stir fry a couple of minute over high heat. Finally, add 1 cup of cold water, cover the pan with a lid and cook 30 minutes over low heat until the artichokes are very tender. 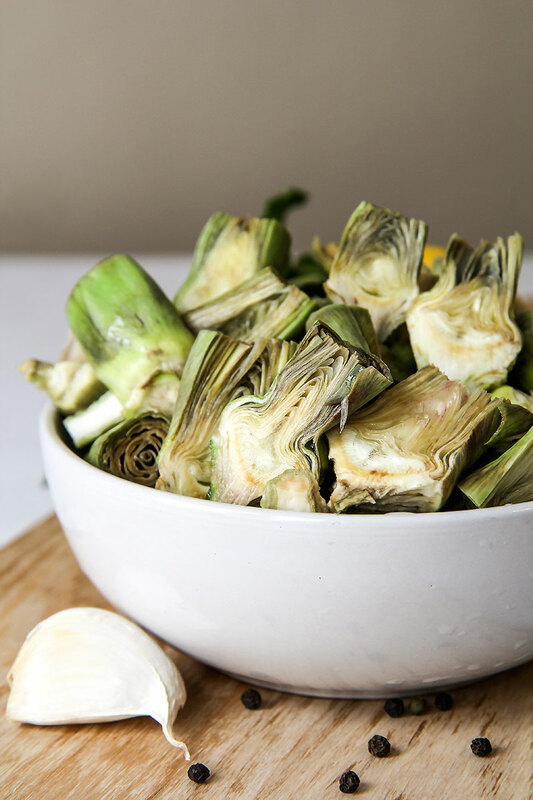 When the artichokes are well cooked and very tender, blend them with a mixer along with garlic, mint leaves, black pepper, the lemon skin grated and 3 tbsp of olive oil and salt as needed. 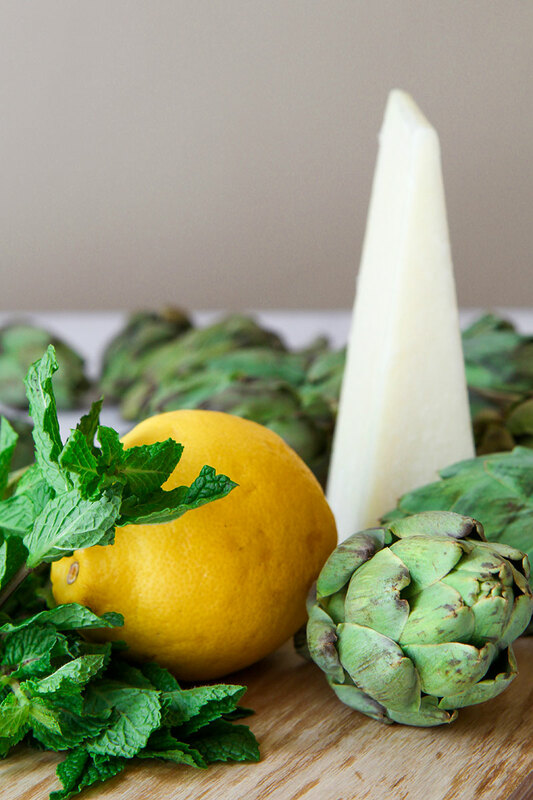 If the artichokes dip is too thick, add a little more of water and blend again. 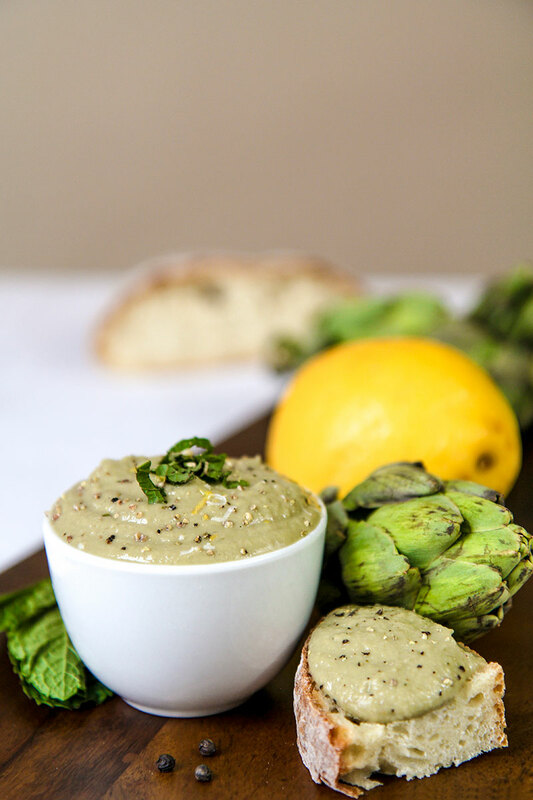 Finally, sift the sauce to eliminate the most tenacious part of the artichokes and obtain a consistent dip.